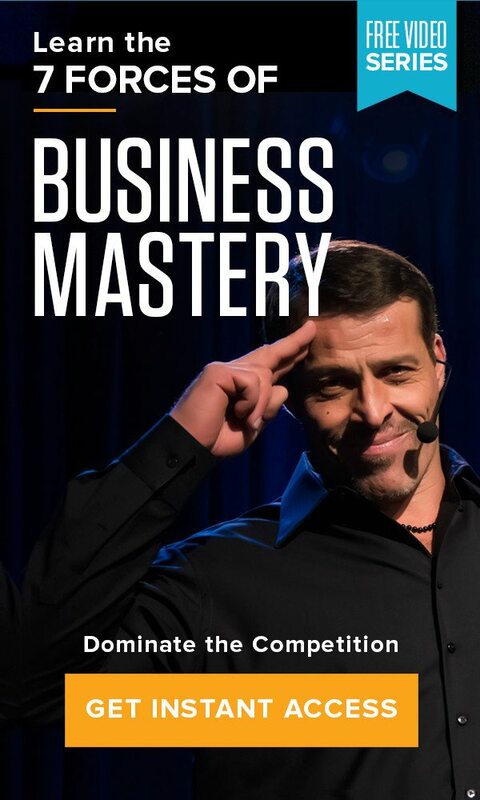 Home » The Tony Robbins Blog » Career & Business » Augmented reality at work? For those times that reality isn’t enough, and virtual reality is too much — there’s augmented reality. A happy medium, augmented reality blurs the line between the physical and the digital. It enables computer-generated graphics, information and data to be superimposed on what you can really see around you, integrating the real and the virtual to create, well, an ‘augmented’ version of reality. While the fundamental technology may have been around in one shape or another, the term “augmented reality” was coined in the 1990s by Professor Tom Caudell, while he was working at Boeing. Since then, the general excitement over augmented reality was largely focused on its personal use: Consumer devices such as Google Glass made headlines, though not exactly breaking into mainstream use as some had predicted. Mobile applications such as Snapchat, Yelp! and Snapshop Showroom have added augmented reality features. And the games industry continues to experiment with augmented reality, with Microsoft HoloLens using the technology to turn Minecraft into a touchable, tangible world. But more recently, augmented reality has been gaining attention for its capabilities in the workplace — as a growing number of businesses have started experimenting with the technology, which has matured to a point where it can be used as an internal tool to complement and enhance business processes, workflows and employee training. Imagine you have to perform a technical task at work that you have never done before — disassembling a computer, for example. An augmented reality device (glasses, a helmet, or even a smartphone application) would be able to show you what to do by using overlaid animations, and the information displayed would change dynamically along with the task you are performing. This way, you would be able to quickly learn the basics without being trained by another employee or even without the need of consulting a manual. You could also launch into advanced techniques more quickly than you otherwise would be able to. This type of training platform could be adapted to teach people how to perform a number of physical tasks, from engineers to mechanics to those on the manufacturing line. Imagine you want to put together a presentation that will really wow everyone. With the ability to design and shape holograms, you’ll have an entirely new means of expressing your creativity and conveying your thoughts and ideas to everyone else, who can see what you see at the same time, and even interact in the same space. With collaborative augmented reality systems, your colleagues are able to experience the augmented environment you create through special display devices. Users can collaborate in two unique ways: face-to-face or remote. This collaborative quality of augmented reality technology would make teaching and learning a completely different experience, as it allows for a new level of sharing and visualizing our work and ideas no matter where the users are located. Consider the benefits of being able to practice your skills and technique in a safe environment where there are no consequences for a misstep. Augmented reality technology is already being used to help teach surgeons and other medical professionals, and as the technology continues to develop and become more accessible, it will likely be used in other sectors where safe practice is a must. How often do you respond to an advertisement on your smartphone? For the most part, mobile ads are considered a nuisance. But with augmented reality, advertisements will allow for an entirely new type of consumer experience. For example, with augmented reality, smartphone users can simply point their mobile devices’s cameras at an object — such as a print advertisement or even the side of a soda bottle — and trigger a 3D video. By integrating the digital world with the real world, brands will be able to appeal to younger tech-lovers who are usually skeptical of traditional advertising methods. With its ability to streamline the workflow, enable seamless communication and enhance core processes, augmented reality has the legs to bring real change to the workplace. In fact, it represents an entirely new way to visualize problems and solutions. And these improvements will inevitably increase efficiency and ultimately, boost productivity. So ask yourself, are you open to the possibilities that new technology can bring to your company? How would you use augmented reality to enhance your business?